Did you see that I am running for Mrs. Utah at the end of April? 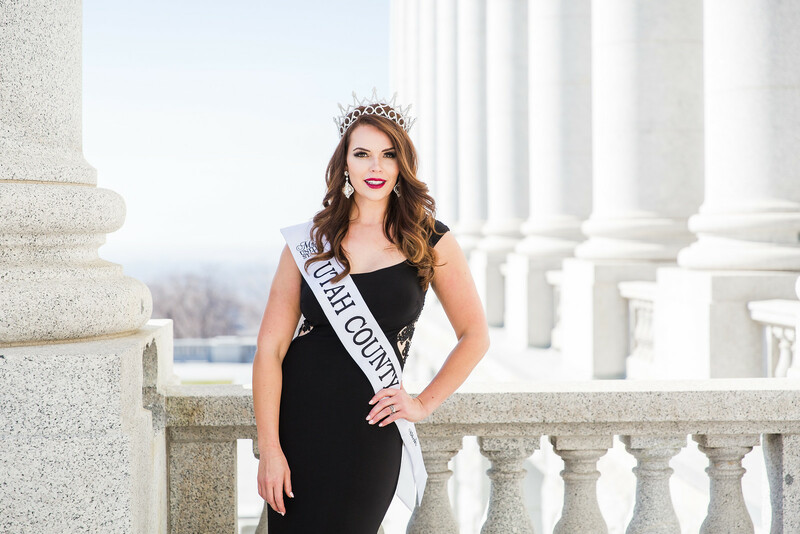 As the reigning Mrs. Utah County 2017, I’m so excited to share a bit about my journey and my platform working with Rock Steady Boxing, I’ll get into more about that later. 1. It’s Not Just a “Beauty” Pageant. Sure, you get to wear gorgeous gowns and have hair so big it actually touches the heavens, but that’s not the main thing pageants are about. Pageantry is about being feminine, articulate, graceful, witty, poised, giving service and community involvement. These are just a few of the reasons why pageants remind me of what I love about being a woman. There are many different kinds of pageants and each has different focuses for different personalities, likes, and interests. While you are patially scored on “beauty”, it’s not the only benchmark on which you are judged. The Mrs. United Stated Pageant which I am competing in scores the contestants in four areas: Interview, Fitness, Evening Gown and On-State Question. Most pageants also require the contestants to get involved in their community and have a platform. Read more about my platform with Rock Steady Boxing here. Walking in heels, striking a pose… How hard could it be? Ummm, REALLY HARD! I haven’t ever participated in a pageant so I decided to hire a pageant coach. After doing quite a bit of searching around, I found my girl: Amy Morgan Davis from Win The Pageant. She’s the former Miss Utah America 2004 and is absolutely AMAZING at what she does. In the few sessions that we’ve had together, I have already come such a long way. Pageantry is serious business and your coach is there to help you with things you didn’t even know you did! a. Walking with an even swing in BOTH arms. b. How to answer questions in a concise and eloquent manner. c. How to contort your body in a way that makes you look flawlessly curvy with a silhouette that could turn heads. Yes, some of these sound silly or even ridiculous, but they are much harder than you think. You also learn about poise, grace, elegance and becoming the type of “Best Version” of yourself to represent your platform and sponsors. So yes, the trusted pageant coach can do all of this and MORE! I personally think you can’t afford not to have one! You’d think after losing 85lbs that your insecurities will all just magically go away, NEWS FLASH they don’t. Willingly putting yourself on a stage under bright lights and in front of a microphone is terrifying (enter the pageant coach right?). If you’ve been following my journey on Instastories you might have seen that I have been struggling with perfectionism pretty bad recently. I used to be almost OCD about things in my control. Things like: How my house looked, making sure I was ALWAYS presentable and going above and beyond whenever I could. It was baaaaaad, and I was making HUGE improvements. But for some reason for a few moments, this pageant had me feeling like I couldn’t be myself. I felt a lot of pressure to look done up ALL THE TIME, to only post the “perfect” side of my projects, work and life, and that I wasn’t allowed to have a bad hair day (aka I didn’t do my hair that day). That’s not real life and that’s not me. I’m all about sharing that parts of life that make you human and real emotions in a vulnerable and non-malicious way. Comparing yourself to the other contestants isn’t important and everyone is there to shine bright and share what they’re passionate about. Which is why it’s important to remember that you are just there to put your best foot forward and have FUN. There will always be things you don’t love or would like to change about yourself, but you can’t focus on those things. Focus on what you CAN control and that’s yourself and your emotional state. I hope these things inspire you to pursue your dreams and be brave on behalf of the things you are passionate about!